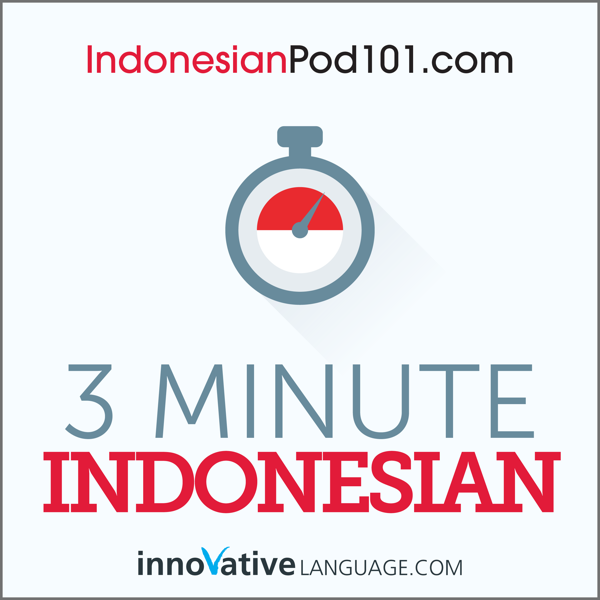 Want to start speaking Indonesian minutes into your first lesson? With 3-Minute Indonesian: 25 Lesson Series Audiobook, you will easily learn the basics of Indonesian conversation with lessons made by real teachers. The best part? Each lesson is three minutes long. You also get the bonus PDF version of the audiobook to read along. You learn everything from greetings and talking about yourself to making conversation and asking for directions or for the check at a restaurant. Plus you'll get some special tips on how to sound even more natural when interacting with native Indonesian speakers. Learn even more Indonesian at IndonesianPod101.com - access the biggest library of Indonesian audio and video lessons online! Sign up for a free lifetime account right now!